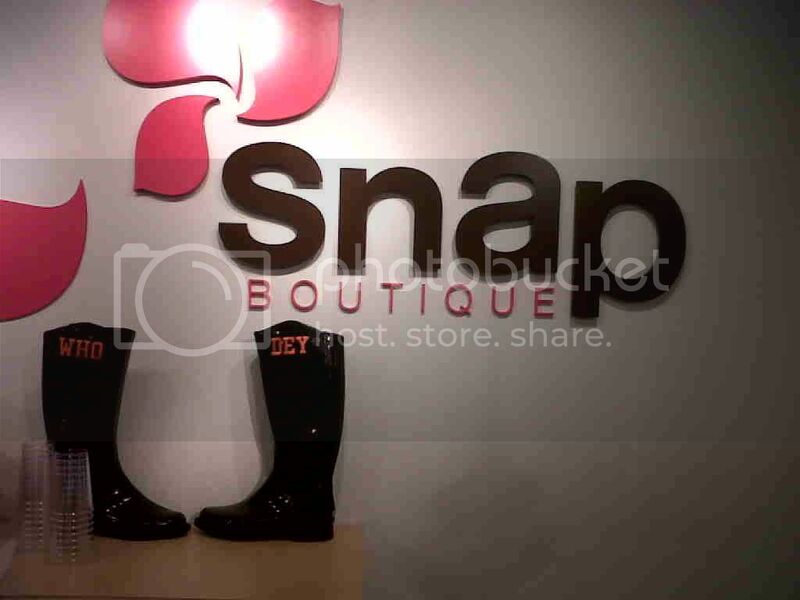 I was at this event at Snap Boutique in Hyde Park and found today’s Marvy Accessory: Embroidered Galoshes. The ones that first caught my eye were the “Who Dey” ones. They would come in quite handy with all the rainy/snowy Bengal games sure to come – and *bonus* they’re super cute! 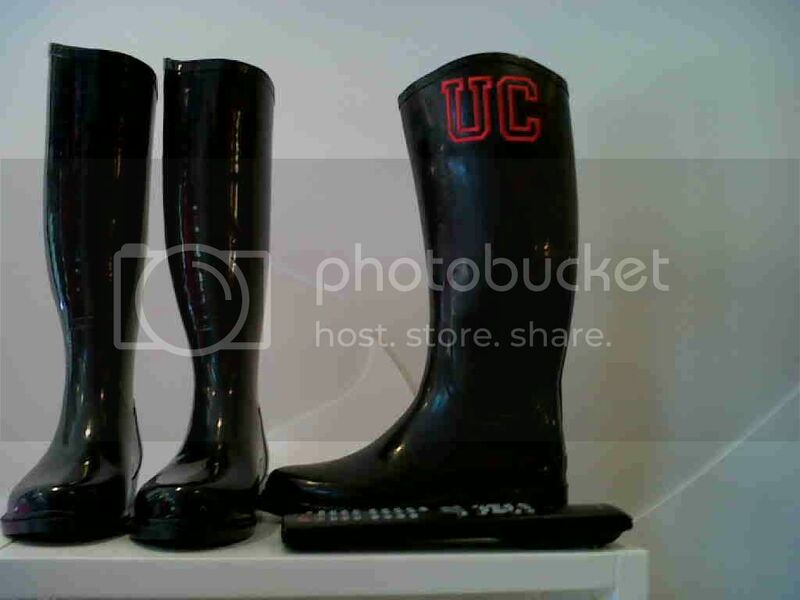 Then I saw some with “UC” on them… I got to thinking, hmm, can you get anything put on these adorable galoshes? So, I asked someone at Snap what the story was with them. 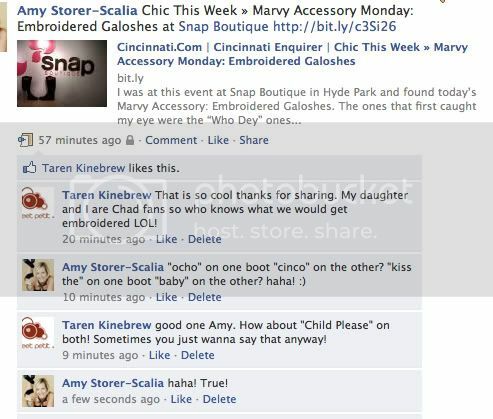 She said they’re $85 and you can get anything you want put on them (embroidery is included in the cost). You can choose the color of thread they use to embroider too. She said they’ve had everything from sorority letters to skulls embroidered on them. I’m seriously considering getting some. I just can’t decide what to get embroidered on them. Ideas?